Before we headed to Milan, I'd heard a lot of mixed reviews, everything from it being very industrial to many people being shocked by how much they liked it. Now, I may be a bit biased as I have family from there and a cousin who was our own personal tour guide, but we absolutely loved it! And it's a good thing we do, because we've been there so much in the last few months that we've jokingly nicknamed it our second home (something that I am not a single bit mad about it!). Keep on reading to see all the great things to do, and more importantly eat, in this wonderful Italian city! I've been to Milan in both the spring and fall seasons and I dressed about the same for both of them, although I think spring was actually colder. I went with a very Italian, leather jacket, jeans, black booties and pop of red outfit the first day, a button down, faux leather leggings and sneakers outfit on another day , and my always faithful striped shirt and jeans combo on our most recent trip. The two things I couldn't live without on any of our trips: comfy shoes (sneakers or black booties) and a scarf. Terrazza Aperol (Aperitif; by the Duomo) || The food isn't anything that is out-of-this-world good, however, you do get a lot of it (we had things like homemade potato chips, a pasta dish, some foccacio, pizza, olives, and a few other things) and the drinks are pretty stellar, but what you really come here for are the views of the Duomo. They literally can't be beat! And neither can the price tag for which you get all of this amazingness! Whether you're on a budget or not, this place is definitely worth checking out. Just note, the wait can be about 30-45 minutes (mostly because they don't pack the place with people, which is really nice), but hold out for a table on the terrace. You won't regret the view! Dry (Pizza and Drinks; Brera District) || This place was recommended to us prior to our first trip to Milan. We didn't think we were going to have time to check it out, but lo and behold it was the very place that my cousin ended up taking us for pre-dinner drinks. The spot itself has a very scene-y, New York vibe to it, but the prices are way more affordable. It seemed like most people were a little more dressed up but there were also people wearing simple jeans looks. In other words, just make sure you look good. Their cocktail menu is one of the best I've seen in a long time and their bartenders are top-notch. We only had drinks that first time, but, on our most recent stop in Milan, we knew we had to go back to check out their food. I'm so glad we did because it truly was some of the best pizza I've ever had! Very simple ingredients and combinations of flavors but everything is super fresh and I love their subtle unique spins on things. There's usually a line for a table, but we snagged a spot at the bar both times and had way too much fun watching the bartenders at work while enjoying our food. Things we tried: Funky Rooster, Ibisco Sour and Bramble Fizz cocktails, Creme Di Zucca, Guanciale E Reggiano Croccanti, Essenza San Giacomo (pumpkin cream, smoked check lardo, crispy reggiano cheese and Essenza aromatic vinegar San Giacomo focaccia, which FYI, the small size is perfect for 2 people as a snack with drinks or as an appetizer if you're getting a pizza for dinner), Pancetta Arrosto pizze (pizza with roasted pancetta, sarawak black pepper and mozzarella for di latte) and affogotto for dessert (so, so good!). Solferino (Dinner; Brera District) || My cousin took us here for dinner and it was one of the best meals I've had in a long time. It may have also been one of the biggest. Go here and eat anything and everything and I promise you will not regret it (although your jeans may regret how they no longer fit you). Things we tried: Risotto Milanese, veal Milanese, Veal tenderloin Medallions, homemade pappardelle and fresh shaved truffles (Because, duh! It was truffle season so I had to!) and tiramisu (the best I've ever had). Pasticcerie Marchesi (Chocolates, Pastries & Cappuccinos; Brera District) || This pastry shop is one of the oldest in Milan and has been around since 1824. It's still run by the same family in the traditional methods with which it started out. However, it is now owned by Prada, who has spearheaded the first expansion of the shop into a second Milan location opened up just last year. They're known for everything from their brioche bread to their chocolates to their cappuccinos to their panettone at Christmas time. My cousin took us here so we shared a plate of chocolates and chocolate covered citrus pieces with him and ordered a round of cappuccinos. Icedream Gelateria Artigianale (Gelato; Navigli District) || Strolling down the main canal running through Navigli can be a bit challenging given the number of people now flocking to this revitalized artsy district. In dyer need of a quick treat, we stumbled across the Icedream Gelateria Artigianale, which happens to be a block over from the main canal on a street parallel, and boy are we glad we did. We saw the crowd of people flocking in an out of this place so we knew it must be good. The hazelnut and pistachio flavors did not disappoint. 22 Milano (Coffee, Breakfast, Snacks; Brera District) || This spot is a little bit out of the center of the city (although not far from Dry), but definitely worth checking out. It's not tourist-y so it's a bit quieter, it's nicely decorated, and the coffee and pastries are yummy. We posted up here for a few hours and loved it so much we almost came back again. Unfortunately, we ran out of time. Obicà (Brunch, Dinner, Appetizers; Brera District, Duomo and Malpensa Airport) || They're brunch looks amazing (and we've been told it's very good), but we only tried some small plates/appetizers while waiting to fly out at the airport. Everything was super delicious! Luckily, they have a spot in NY, so this is one Italian place I won't have serious withdrawal symptoms from. Other places to check out: God Save the Food (supposed to have good brunch) and Corso Como 10 (good for breakfast and afternoon coffee). For other quick slices of pizza, cappuccinos, afternoon treats, etc we just popped into random places wherever we happened to be. 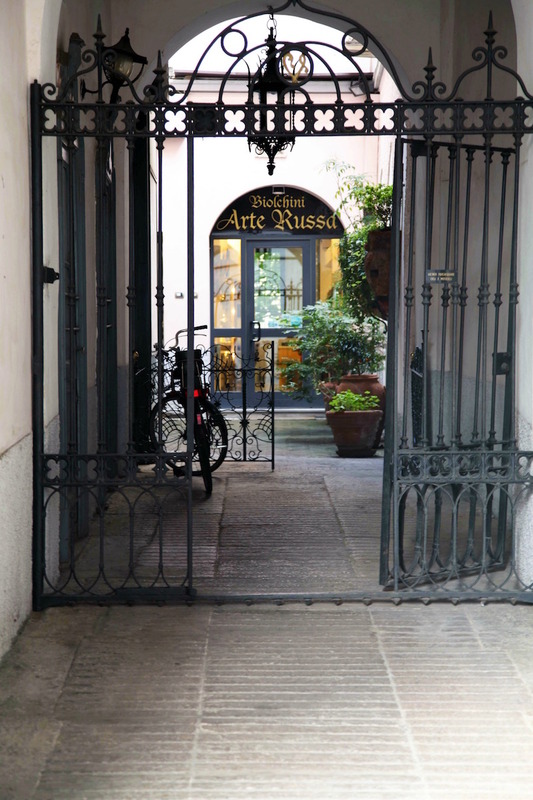 There are seriously so many cute spots as you stroll along the streets (especially in Brera) that it can be hard to pick one/remember them all. But the way I see it is, you're in Italy, how can you possibly have a bad meal anywhere?! See the Duomo (and head up on the roof, if you're feeling extra adventurous) || We didn't go into the church at all (too many people for us) but it's a beautiful building to see. I actually liked it best late at night as there weren't a lot of people there. If you'd also prefer less people definitely go at night or early morning. Just be careful outside, if anyone tries to put a bracelet on you or give you food to feed the pigeons, walk away as quickly as possible, otherwise they'll surround you and heckle you for money. Check out Galleria Vittorio Emanuele II || Directly to the left of the Duomo, you'll find this open air mall that has been around since 1877. It's full of high-end stores as well as a variety of coffee shops and restaurants. If you go upstairs you'll find Terrazza Aperol as well as an Eataly-like store. Parco Sempione || A beautiful pair to check out and walk around; parts of it remind me of Central Park; you'll find a variety of things in the park, including a castle (which has art exhibits) and an aquarium (more below). Check Sforza Castle || This is the castle I mentioned above that is located in Parco Sempione. You can walk around parts of it for free but other parts hold various art exhibits or are only open for tours. See Michelangelo's Last Work || As I previously mentioned, there are various exhibits at the Zforza Castle, one of which happens to be The Pietà Rondanini. It is Michelangelo's last work and is actually incomplete as the artist died while he was working on it. There is a fee to get in (and there is sometimes a small wait), but it really takes your breath away to be up close and personal with the last work of one of the greatest artists to ever live. Visit the Aquarium || It might seem odd to go to an aquarium in Italy, but it was actually really cool as it has more than 100 varieties of sea life that are found in the oceans, rivers and lakes of Italy. It is small and doesn't take much time to go through but it's definitely a great activity if it's cold, rainy or you have little ones. Also, it is free on the first Sunday of every month and for the last hour of every day. Other fun facts: it was built in 1905 as part of the Worlds Fair's fair and is the only remaining building from that event and it's the 3rd oldest aquarium in Europe. Shop Vintage Designer Pieces at Cavalli e Nastri || There are lots of vintage shops to choose from around Milan, but we happened upon this one as we were wandering around Brera. Supposedly it's the spot where all the of the Milan magazine stylists head to find the most unique pieces and once I stepped inside, I completely understood why. They have some of the most gorgeous and unique designer pieces from Dolce & Gabbana to Dior to Chanel and Prada and everything in between. There were at least 12 6 Chanel jackets that were in such pristine condition, I briefly contemplated selling our car so I could buy them all (I'm only half kidding). Mr. RC did happen to spy one that was in need of a little TLC so I was able to finagle my way into a piece for a mere fraction of the what it's worth (It still has the handwritten tags on it from when it was made!). I viewed it as a 30th birthday present/fashion investment and Mr.RC viewed it as his sacrifice for not having to give up the car! Ha! Whether you're just looking for inspiration or you are doing some shopping, definitely check this spot out. 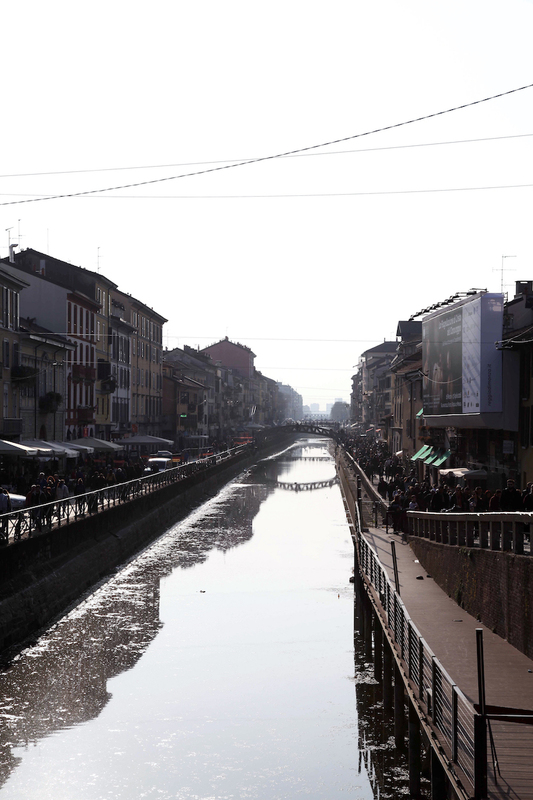 Head to the Navigli district || Everyone (except for my cousin, who I trust the most since he grew up in Milan) raved about the Navigli district. We were bummed that we missed it the first time around, but when we checked it out the second time, we were bummed even more because it was such a let down. It was crowded, dirty and the canal was hardly a canal. If you really want to check it out, do, but to me, it's not worth the effort it takes to get to it. In fact the only thing I enjoyed about the area is the gelato I mentioned up above. Check Out Some of the Old Churchs || Santa Maria del Carmine was one of my favorites. 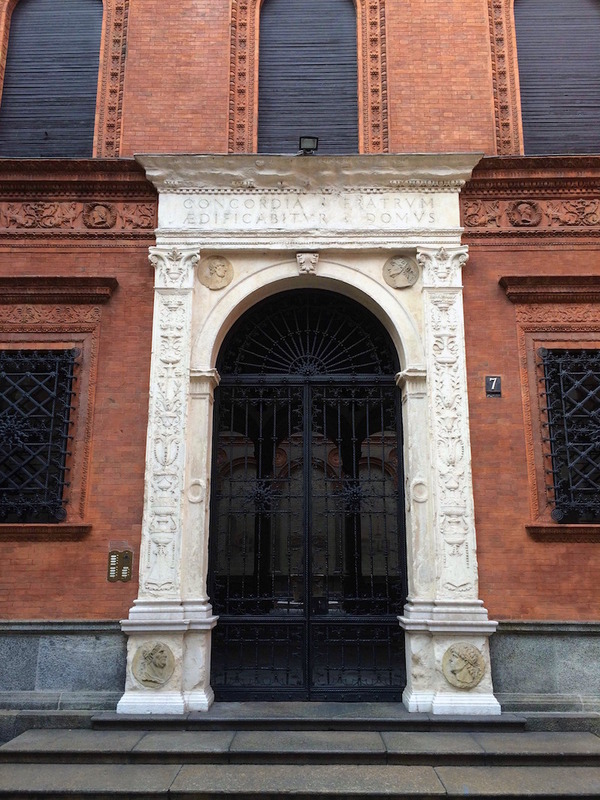 It's in Brera and close to some great restaurants, so it's easy to stop by and visit. For those of you looking for an English Mass, they do offer one on Sundays. See a Show at Teatro alls Scala || This opera house is world famous and has been open since 1778. We haven't gone to a show here yet, but we're planning to on our next trip back. Walk around the Brera District || Full of winding streets, high end shops, colorful homes and great restaurants, it's easily one of the best areas of Milan. Pop into Corso Como 10 || This place is slightly hard to find, but it's definitely worth hunting down as they, quite literally, have everything. Behind the greenery covered walls you'll find a cafe, a hotel, art, a store and a rooftop. We're told the cafe is definitely worth checking out, but we had just eaten so we browsed the shop instead and then basked in the sun on the rooftop. It was the perfect place to take a quiet and peaceful break from a busy day of exploring. We stayed in a few places in Milan and we loved them all very much. However, the Airbnb from our first time in Milan was probably our favorite. Our host was out-of-this-world nice, the space was clean and cozy yet modern, and you could easily jump on public transportation right at the end of the street. She left us espresso, chocolates, fruit, cookies, wine, pasta, pesto, cheese, milk and juice. When we asked her about a place to go to get sim cards for our phones, instead of just telling us, she insisted on walking us over. I mean, I was sold on the chocolates on cookies alone, but everything else was a wonderful added bonus. Our second time in Milan, we stayed in a completely different area of town, in room we rented through Airbnb. I was pretty adamantly against renting just a room, but we were in town for less than 24 hours, most of which we were spending out with my cousin, so, after reading all of their amazing reviews and discussing it over, we booked the place. The room itself was big and bright, they left us a few small snacks and some drinks, internet was provided and everything was very clean. The couple renting the room out were students so very normal and down-to-earth. They were also super flexible about check-in and check-out times, simply leaving the key on the table and letting ourselves out, which was a good thing since we had to be up and out by about 5am. On our most recent trip to Milan, we were on an overnight layover from Paris so we figured it didn't make much sense to get an Airbnb. We had a few Marriot points saved up so we figured we'd see if there was anything available with those, not really expecting much. However, there was a hotel, Moxy, available, for under 7,000 points a night (unheard of) right by the airport. We're never ones to stay by an airport but with only a little time in the city, easy bus transportation to and from Malpensa to downtown Milan, and an early flight out in the morning, we figured it was the logical option. Plus, you can't beat the price of free, right?! Of course, that doesn't mean we had our reservations (I mean, hotels by airports aren't known to be anything special). However, we were both blown away by the Moxy. It was basically a boutique hotel that looked like it was designed and decorated with Instagram in mind. Translation- it looked very modern, contemporary and sharp. The staff was all young and we joked about how they must model in their free time. The art was quirky, but the rooms had everything you could need and the beds were super comfy. Despite the proximity to the airport, we barely heard anything and slept like rocks. They do have a whole cafe and bar available, and it was great for basic things, like cappuccino, water, etc. All-in-all, though, we can't recommend this place enough if you're looking for something affordable yet nice right by the airport. My biggest tip for Milan is to be careful and alert in highly trafficked tourist areas (i.e. the Duomo). As I mentioned above, if anyone tries to put a bracelet on you or give you food to feed the pigeons, walk away as quickly as possible, otherwise they'll surround you and heckle you for money. And this should go without saying, but keep your bag/camera/valuables close to your body at all times, with one hand on the item at all times. This is something I do naturally, living in New York, but for some of you, I know it might not be an action you're used to doing.